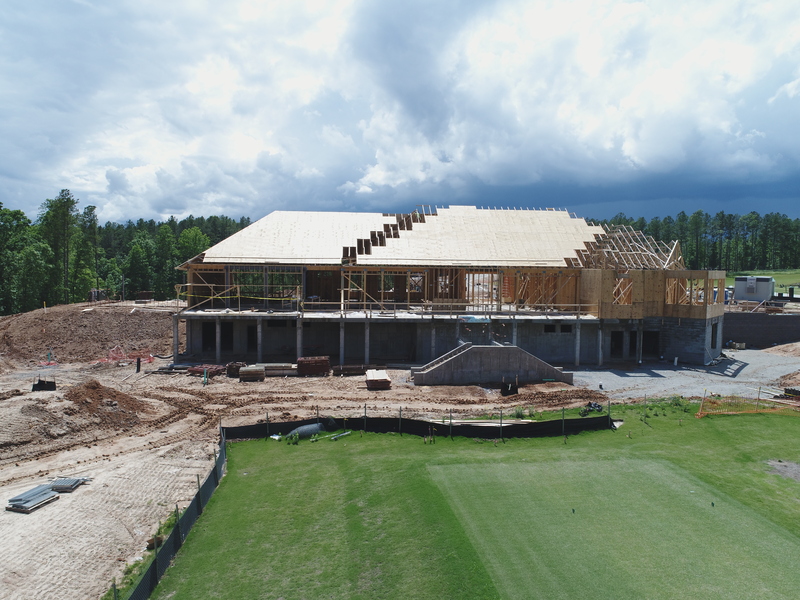 As we roll into the summer with just 4 months until the proposed opening date, it's amazing to continue to see the progress of our clubhouse construction each week. 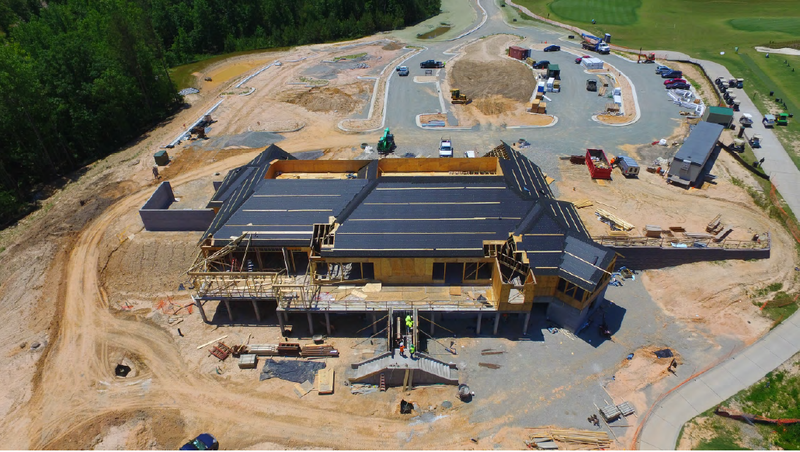 The roof is now complete with a covering that will allow us to work rain or shine. 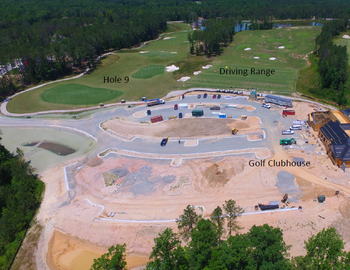 The interior is set and ready to start frame work as the electricians complete their wiring process. Meetings have been started to determine types of furniture, glassware and silverware. Stay tuned blog posts to come as we make our decisions on our selections so you can see what we'll have!